97% Of Trump Supporters Answered These 16 Questions Correctly. Can You? Which of the following is NOT a Jewish holiday? What is the world's largest religion? Hinduism is based on teachings attributed to the Buddha. What is the foundational text of Judaism? Jesus walked on what body of water? Which of the following is NOT a Christian holiday? In what year was Jesus Crucified? What are the main sources for the biography of Jesus? Nailed it!! You are definitely a Trump Supporter!! Phenomenal, you aced it!! Did you vote for Trump? Let us know in a comment below, and share the quiz with every Trump fan you know. Failed:( You're definitely NOT a Trump Supporter!! You definitely did not vote for Trump. Are we spot-on? Let us know in a comment below, and share the quiz with every Trump fan you know. 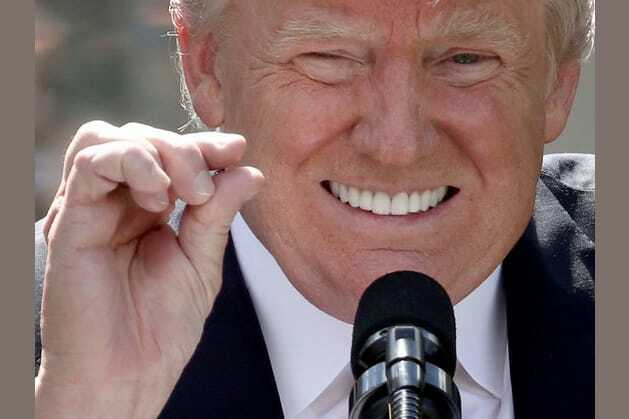 "Can you nail it bigly?"